Wallace Ting is originally from Dallas, Texas and has over 15 years' experience in education. After working for seven years in Texas and New York, he has spent the past nine years internationally in Colombia, Guatemala, and Nigeria. He has worked at every level of K-12, Mathematics Teacher, Primary Principal, Assistant Director, and School General Director. Wallace holds a Bachelor's Degree in Electrical Engineering, and a Master's Degrees in Mathematics and Educational Leadership. Wallace is currently finishing his Doctorate from the University of Southern California in Los Angeles. Anabel Garcia is trained in Public Accounting and has over twenty years' experience in Finance and Administration. Her previous roles have been working with multinational companies and for NGO's supporting development projects, budgets and promoting stronger finance systems. In her free time Anabel enjoys traveling with her family, helping in a local NGO with displaced people and in the Christian Church. KSI Bogotá's Human Resources Manager, Maria Angelica Cuellar joined our team in 2017. She has over 10 years of experience in Human Resources, including developing HR processes and policies, employee relations, performance management, recruitment, benefits, compensation and training. Her career has included management positions with companies across various industries, including, manufacturing, petroleum services, and restaurants. Maria earned her specialization in Human Resources from Externado and her Bachelor's Degree in Industrial Engineering from Distrital University. Angelica has spent 10 months in London, learning English. Juan is KSI's IB Coordinator and Academic Head. He has over 7 years' experience in IB education. Juan has worked as an IB diploma teacher of Business Management, Economics, CAS and TOK and has held various supporting roles at the International Baccalaureate Organization. Juan holds a Bachelor's Degree in International Business, Masters of Business Administration (MBA) and is currently finishing his second Masters in International Education and IB schools' leadership. Additionally, Juan works as an IB examiner of Business Management, E.E and as a team leader for Business Management. He also leads several IB workshops in Business Management for IB schools while also being a private tutor for exam preparations across the globe. Juan writes for the IB world magazine and is currently researching IB academic practices among DP students. As part of his experience, Juan also leads MUNs for different schools. Vanessa holds a Master's Degree in Education from Externado University and holds a Certificate in International School Leadership. Before joining the KSI team in 2012, she was a teacher and team leader in a local International School. Vanessa always strives to promote a safe and happy learning environment for all students. She supports teachers in carrying out the school´s mission to provide a meaningful education experience. Sonia joined KSI in 2017 and holds a Master of Science Degree in Physics, Bachelor of Science in Electronic Engineering and a Bachelor of Physics from Los Andes University. Sonia started as a university teacher when she was doing her masters but soon found her passion was in teaching High School students. For the last eight years, Sonia has been attending multiple workshops by the IBO to further develop her skills as a DP and PYP teacher. Sonia has been a valuable member of the team of authors for the Physics MYP e-assessment, is a passionate writer of exams and unit design. Sonia believes KSI encourages creative and innovative ways to teach, in a respectful and challenging environment, and strives to allow students to 'Be all they can be'. Marcela studied Analysis, Development of Systems and graduated in 2010. In 2013 she began her studies in Psychology at Fundación Universitaria Konrad Lorenz, now she is in her eighth semester. Marcela is very interested in the behavior of humans and the way humans learn. Marcela has been working in schools for seven years and joined KSI Bogotá in 2014. Marcela enjoys working at KSI Bogotá and spending time with children. She loves learning and her experiences have allowed her to grow both personally and professionally. Juan teaches IB Middle Years Programme Humanities and IB Diploma Programme History at KSI. Juan also coordinates the 'Promotores Group' on the side, which aims to raise the sense of belonging among students at school. Juan has a Bachelor's Degree in Social Communication and Journalism from La Sabana University, and a Master's Degree in Education from the European University of the Atlantic. Juan has participated in training sessions offered by the IB. After working for two years as a journalist, Juan was given the opportunity to transfer into teaching and he has now been a teacher for 5 years in the areas of Humanities, English and Spanish. Juan is also a professional opera singer and actor, performing regularly. He has been a member of KSI Bogotá since 2015. Constanza has a degree in Food Engineering from Universidad Jorge Tadeo Lozano and a degree in Education from the Universidad Pedagogica, specialising in mathematics. She is a certified TESL/TEFL teacher. Constanza is trained in teaching the IB Diploma Program for Chemistry, Internal Assessment and Quality Control and has more than 15 years experience teaching primary and secondary mathemathics, physics and chemistry. Constanza has enjoyed teaching students of all levels in secondary school and sharing their experiences in the classroom. She is passionate about teaching maths and chemistry. Daniella is from Bogotá, Colombia and joined KSI in 2017. She holds a Master of Science degree in Biological Sciences, Bachelor of Biology and Microbiology from Los Andes University. She studied at an IB school and got her IBO diploma when she graduated from school. She started as a private tutor, then while she was doing her masters she was a university teacher. Four years ago she noticed her passion was education and started working in high schools. Since then she has been devoted to improving her skills and knowledge by attending multiple IBO workshops to develop as a DP and MYP teacher. Last year she became an IB examiner for DP Biology. Christopher Higgins is from Toronto, Canada. He graduated from the University of British Columbia (Vancouver, Canada) with a Bachelor of Science in Global Resource Systems, focusing on Latin America and International Trade and Development. Christopher has been teaching English for 10 years with several years experience teaching science, agriculture and maths in elementary school. Christopher also has 4 years experience as a fifth grade homeroom teacher. His teaching career has found him working in South Korea, Panama, and Colombia. Christopher enjoys public speaking, capoeira, meditation, hiking, camping, rock climbing, travelling, cooking, socialising, and reading. Christopher has found KSI to be a fulfilling environment to develop his professional career. The challenges it presents, allows for the development of his creative and critical thinking skills. He looks forward to supporting his team and developing his career at KSI. Cristina studied Early Childhood and Elementary Education at the College of Charleston in South Carolina and graduated in 2014. Although she was born and raised in the United States, her Colombian family raised her to be bilingual which has been a useful tool while teaching and living in Bogotá. Cristina finds an international environment educative and loves learning about different cultures while travelling. She enjoys sports such as cycling and horseback riding and loves the varying environments Colombia has to offer. Cristina is happy to be a member of the KSI community and is grateful to have made lifelong friends during her time at KSI Bogotá. She adores her students and is grateful for everything they have taught her since beginning her educational career. Mike is originally from Niagara Falls, New York and has seven years of experience teaching IB English in Bogotá. He is married to a Colombian named Luisa, and they have a son named Samuel. Mike holds a Bachelor's Degree in English Literature from the University of Colorado, a Master's in Teaching English as a Second Language from Grand Canyon University and he is a certified English Language Arts teacher in the state of New Jersey. Natalia Quiñones Morales has a Physics degree from the Universidad Pedagógica Nacional of Colombia. She is trained in instructing the IB Diploma Program Mathematical Studies Standard Level and Mathematics Standard Level. Natalia has more than 15 years' experience as a teacher in Primary and Secondary for Physics, Mathematics, Geometry and Logic. She considers teaching a good opportunity to help the world and children. Natalia enjoys spending time outdoors, and with her pets. Gina holds a certification for teaching preschool and primary from Normal Superior de Bogotá and completed her Bachelor's degree in English Language Arts from Universidad de San Buenaventura. She also received a certification in Teaching English as an Additional Language (TEFL/TESOL) from Oxford Seminars in Austin, TX. Gina has 13 years of experience as a primary teacher in different schools in Colombia and the United States, that allowed her to explore different methods and approaches in education. The last 9 years Gina has been working for the PYP program and has got 4 certified workshops from the IB organization. She is currently studying to get a specialization in Teaching Mediated by ICT. María Teresa graduated from the University of San Buenaventura, majoring in Education, with further specialisation in Preschool Education. She has more than 25 years' experience in the Preschool and Primary levels as a Homeroom teacher, as well as a teacher of Spanish and Religious Education. She has been part of the KSI family for 3 years. Maria Cristina earned her Bachelor's degree in Pre-school Education in 1986. She has over 30 years' experience teaching in a self-contained classroom; teaching students from ages 2 to 14. Maria Cristina has previously worked at an English School in the Special Education Needs department. She likes to teach students songs, games, origami and reading comprehension activities. She believes there are many things she has learnt from her students throughout her life and there is still so much more to be learned. Sebastian is currently completing his qualification in English teaching from La Gran Colombia University. Sebastian studied Civil Engineering at Escuela Colombiana de Ingenierã Julio Garavito but he soon fell in love with the English Language and being able to teach it was his passion. Sebastian is always interested in learning new skills and completed a German language course at Goethe Institut in Schwãbisch Hall, Germany. Sebastian also travelled to England for a year to take part on a Volunteering Programme. Sebastian's favorite hobbies are playing soccer, cycling, watching sports, listening to music, spending time with his family; he loves his dogs as well as reading and travelling the world. Mariana was born in Bogotá but grew up in Miami and Cali. She holds a Bachelor's degree in literature from Georgetown University. Before coming to KSI Mariana worked at the Montessori British School as a Social Studies teacher for 1st grade, 4th grade and 8th grade. Before that she worked for Atlas Corps, and NGO based in Washington DC, recruiting native English speakers to teach in Colombian public schools. Andrea Roa has a degree in Education from the University of San Buenaventura. She developed specialist knowledge in teaching Spanish as a native language, from her time at the National Pedagogical University, and the Competent Reader Program from the Alberto Merani International Foundation. 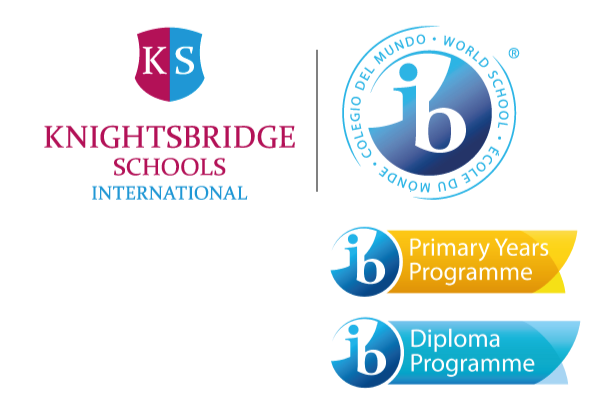 Andrea is training in the International Baccalaureate Primary Years Programme (IB PYP). Throughout Andrea's 15-year career in education, she has worked across all levels of Primary and Secondary education in different schools in Bogotá. Andrea is always reflecting on the reader and writer process, language acquisition and knowledge integration. Andrea has been part of the KSI family for seven years, shares the KSI philosophy and firmly believes in education as a tool to progress all societies. Andrea's hobbies include spending time with her family and pet, walking, traveling, reading and enjoying nature. Mariana is a psychologist with over ten years of experience in teaching. She has been working mostly with preschool students, and as ESL teacher for older children. Her favorite subject to teach is Literacy, as it uncovers the amazing world provided by the imagination of the students, encouraging them to use all their abilities to communicate. Mariana is from Venezuela and has been living the past two years in Bogotá, she has fallen in love with the city, the weather and its people. Fanny Yaneth studied Psychology, and completed her Master's degree in "Clinical Psychology and Family Therapy" from Santo Tomás University. She has been working as a Psychotherapist for nine years, focusing on childhood, adolescence and family dynamics. Fanny has six years of experience in educational institutions, having worked on prevention and promotion programmes, learning difficulties in children and adolescents. KSI Bogotá's Physical Education Teacher, Ronald Robles, is originally from Santa Marta, Colombia and has over 17 years' experience in education. He has worked for years in different international schools. He lived in New York where performed studies concerned with his physical education teaching labour. He has worked at several functions in schools like Physical education section head, PE Teacher, Homeroom Teacher and Basketball Coach. He holds a Bachelor's Degree Physical Education and High Performance Training, Specialisations Degrees in High Management and Sport Development, and Level 4 in English as second language of ELI, Queens College, CUNY in New York City. Diego holds a degree in business and a postgraduate in Philosophy. he is the kind of teacher who is eclectic and finds great pleasure in teaching areas concerning the human sciences. Diego's last job was at Bilingue de Santa Marta where he learned how to excel in diverse environments and cultures, and has become really appreciative of Colombia's regional differences and possibilities. Diego is highly interested in the areas he is currently teaching at KSI as finds them challenging. He has also come to acknowledge the great quality of students at the school and the great respect they share for the teachers, enabling a fantastic environment for work. Currently Diego is pursuing interest in areas such as entrepreneurialism and technology. Eric is the new KSI Bogotá's music teacher. He has a Master in Music with emphasis in Arrangements from El Bosque University in Bogotá; at 26 he travelled to Argentina to teach music and play with a lot of jazz ensembles in Buenos Aires and Córdoba. He's got 10 years of experience teaching music theory, vocal technique, guitar, saxophone, bass, drums and piano for basic, intermediate and advanced students. He is also a songwriter, singer and composer of music for audiovisuals in his own company . He is a great enthusiast about education and arts. Carolina Mora has over seven years' experience working as an Admission Coordinator at various schools. She is an alumni from Anglo Colombian School and studied Publicity and Marketing at Politecnico Gran Colombiano University. Carolina Mora is very glad to be working at KSI. Anamaría is a psychology graduate from the Pontificia Universidad Javeriana. She studied Moderate Special Needs at Boston College, has a Diploma in Family at the University of La Sabana and another one in Human Values at the Sathia Sai Institute. Anamaría has worked at KSI Bogotá since the beginning, as a Counselor and also as a parent. Anamaría is a mother of three children whom she loves deeply. She is happy to work at KSI and loves the team who support her. Alonso is a professional trained in the area of Information and Communication Technologies (ICT), Design and Electronic Automation Engineer, singularized in robotics and artificial intelligence at De La Salle University. Diego is an expert in SGC (QMS) of ICONTEC International, internal audit under the current standards of Quality, Management of complaints and claims, Information Technology and Environment NTC ISO 9001, 14000, 19011 and 27001. In addition he is also experienced in Mechatronics Engineering, Management of projects, Leadership and Technologies. Diego has 25 years experience in the industry, prior to working at KSI, Dieogo was in the telecommunications and education (religious) industry. Sandra Naranjo is originally from Cali, Colombia and has over 20 years' experience in education. She has worked for different recognised schools in Cali and Bogotá as director of Primary school, academic coordinator and well-being coordinator. She holds an Administración Educativa degree, specialisations in curricula, evaluation and teaching for understanding, English as a second language in St John Centre in St Catherines, Canada. She is also a two star auditor EFQM and ISO 9001. She currently works as coordinator of immersion programmes in English in Canada and England. She is currently is applying for a Master in Spain. Valeria holds a Bachelor's Degree in Psychology from Pontificia Universidad Javeriana and is in her first year at KSI as a SEN Teaching Assistant. Before KSI, Valeria used to work in psychotherapy, with children that have cognitive disabilities, here Valeria focussed on positive interventions around cognitive, social and emotional development of the child. She is passionate about education and deeply believes in its power to build an equal and reflexive society. Besides education, she loves to dream, laugh, discover, create, dance and spend time with her family and cats. Caroline studied Psychology at the University of Los Andes, and has two specialisations at Pontificia Universidad Javeriana; one in Child Abuse Prevention, and the other in Clinic and Psychotherapy of Psychoanalytic Orientation. She has 19 years of professional experience, with an interesting background designing and facilitating strategies to prevent dropout and promote inclusion, also contributing to the Self Assessment of Educational Institutions. Besides Spanish and English, she loves to practice Colombian Sign Language (LSC). She encourages the solidarity leadership, and is deeply committed to the life projects of the students.